Unless you live under a rock, you know that the East Coast got hit hard with snow. Last weekend we also had snow so we are getting up there ina ccumulation! 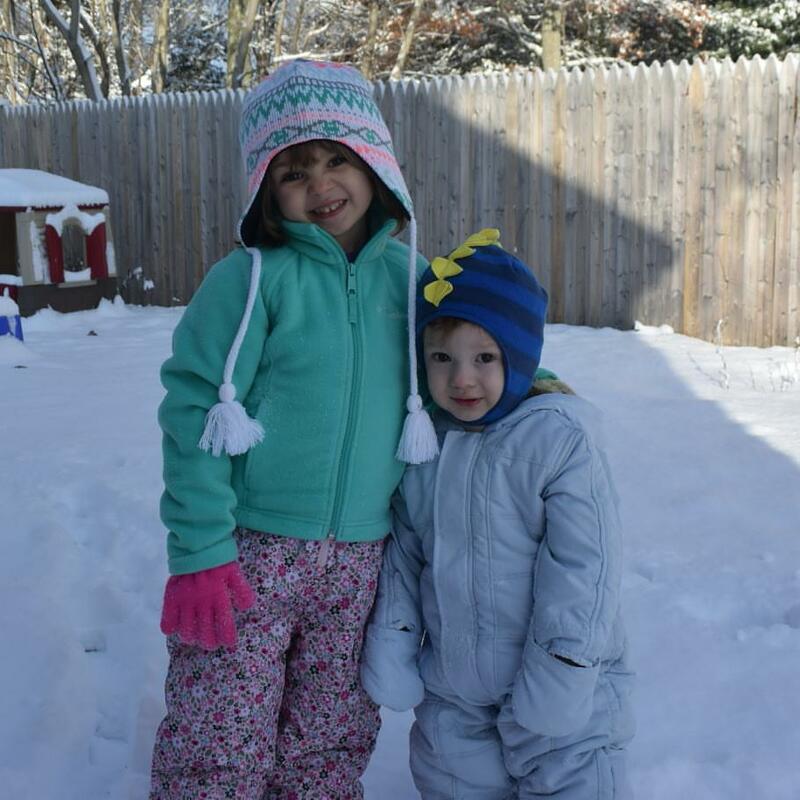 The kids are absolutely in love with the snow. Granted they take 20 minutes to get dressed and ready, and then are cold after 5 minutes outside! While we made snow angels and a sad little snowman, I think they need a sled! After playing outside, we always head in for cocoa and either homemade cookies or movie snuggles. Hopefully everyone stayed warm! How do you celebrate snow?